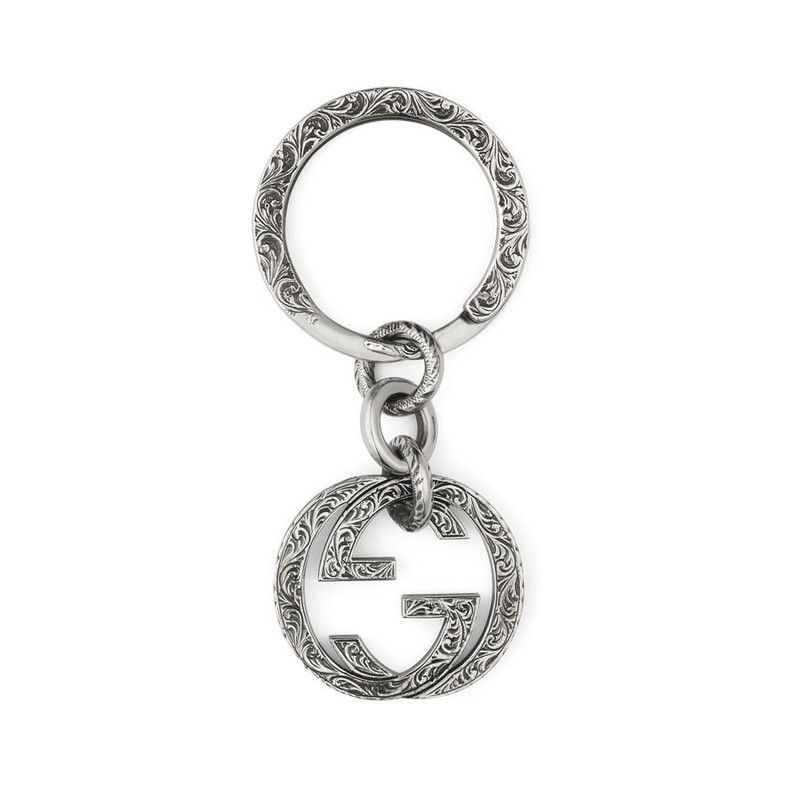 This significant-looking keychain is part of Gucci's Interlocking G collection. Crafted in sterling silver with Aureco black finish, the stylish men's accessory features an engraved ring and joined initials. This Gucci keychain, an outstanding example of ornate craftsmanship, will run rings around any other you've had before!